Okay. There is something very important I need to say. I love you and hope you have a relaxing and wonderful day :). Because if you can't give a shout out to your Mom on your own blog, then really, why have a blog in the first place?! 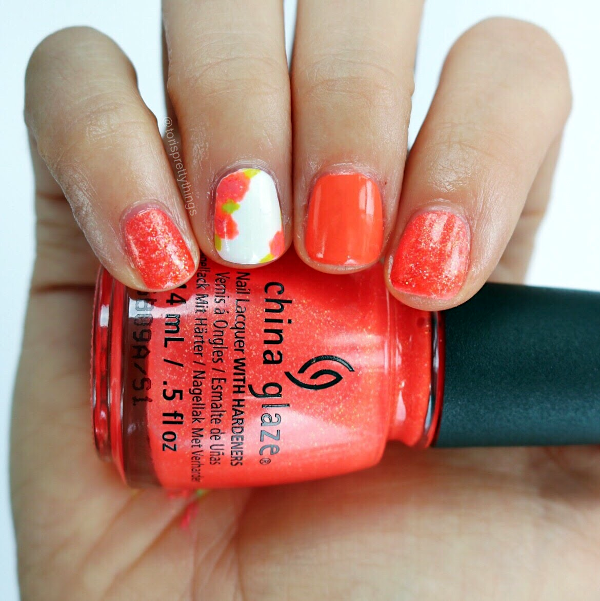 Anywho, it's time for another Mani Monday and this week we're diving right into those bright summer neon shades. Florals are my true nail art frenemies - I love the results but they are so difficult for me! I figured maybe an unexpected combo of orange and white might help me jive through the creative process a little better. So what better polishes to work with than two untried's - Red-y to Rave and Papa Don't Peach . I'm so in love with how they turned out! 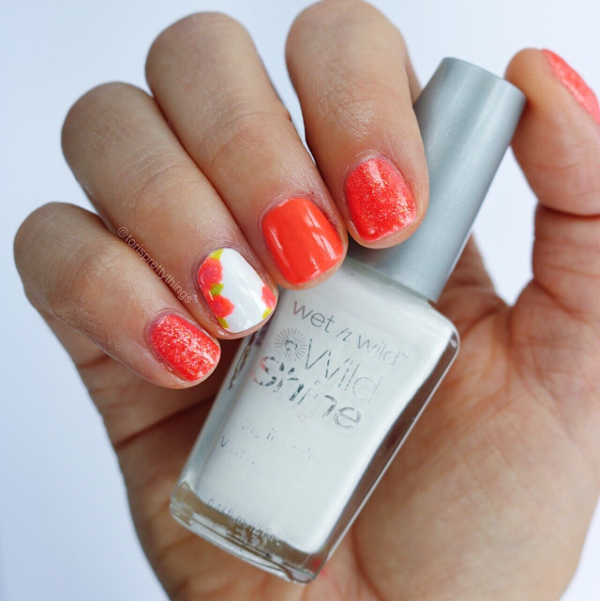 Orange, white, and that pop of gold sparkle give me all those summertime feels. Now I just need a bit of a faux tan to go along with these warm weather shades. You already know all about my love for this white polish but both China Glaze shades were a dream to work with. If this kind of shade calls your name then I would definitely recommend them. As for what kind of flowers they are? Let's leave that up to your abstract imagination :).